So, are you experiencing this weird issue with Finder on your Mac? It's super slow to open folders, sometimes not responding, even worse, it keeps crashing randomly. The kind of Mac Finder problem is definitely frustrating. And lots of fellow Mac users have reported this issue on OS X Yosemite, El Capitan, and latest macOS High Sierra. Fortunately, it is generally an easy fix as long as you pinpoint the culprit. However, the process may not be as easy as it sounds. Sometimes it's much time-consuming identifying the cause rather than actually resolving it. In this article, we are going to show you a few common reasons and fixes to help you tackle the Finder problem. Note: to make it easier for you, we break down the solutions into two situations (see below). This scenario applies to those of you who can use Finder to open folders or access files, but the process becomes much slower than usual. Here are the common causes and solutions. In general, it's a good practice to make sure your Mac disk has at least 20% free space available to use. Otherwise, your Mac may suffer performance issues. 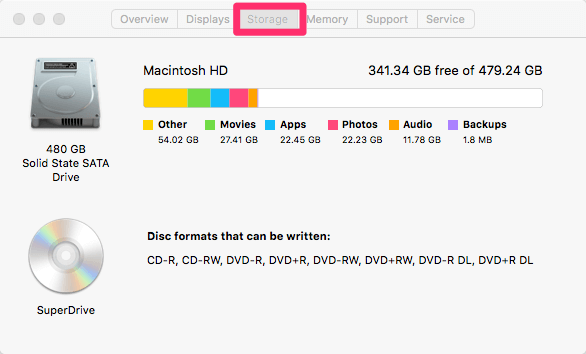 To check storage usage, click on Apple logo on the top left of your screen, and select About This Mac, then click Storage tab. Here you get a quick overview of the storage via the colorful bar. 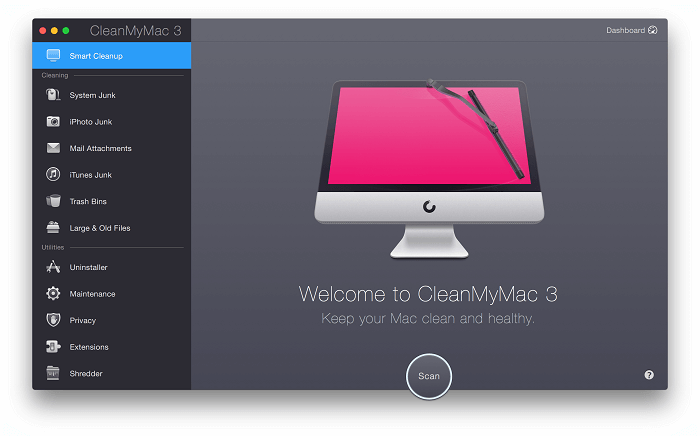 How to fix it: if your Mac doesn't have enough storage, the easiest way to free up more disk space is by using ﻿﻿﻿﻿CleanMyMac -- an app developed by MacPaw to help we Mac users quickly detect and remove system junk and unnecessary files. 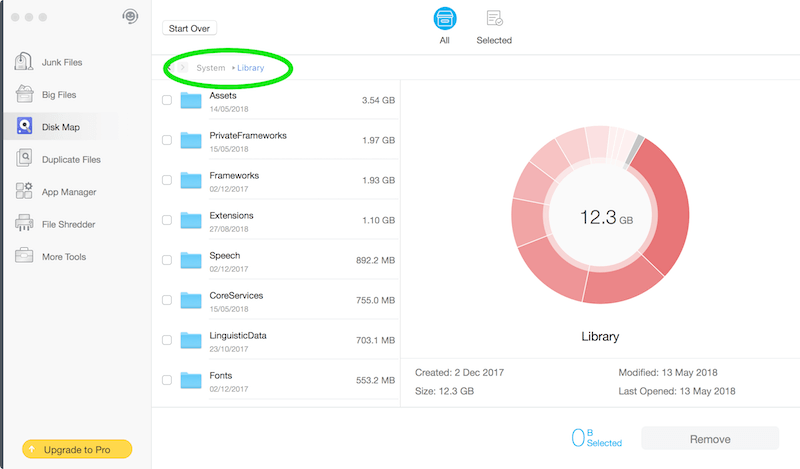 We also recommend you try Dr. Cleaner to locate those large System Storage files (or Other Storage in older macOS, as shown in the screenshot above) as this option is greyed out by Apple macOS by default. You can also use the app to find duplicate files if you are used to storing multiple copies of backups and photos on your machine. Bottom line? 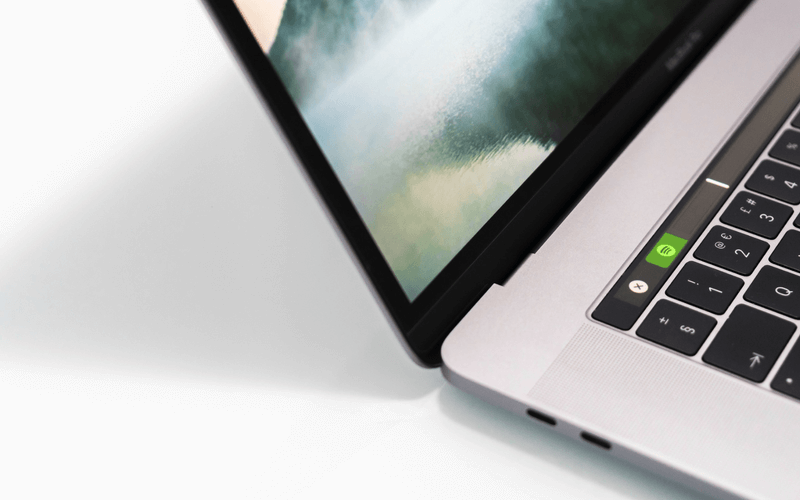 Clean your Mac as much as you can to reclaim more free disk space, as this helps improve the overall performance of your Mac. Plus, the Finder slow issue can disappear too. This usually happens when your Mac has updated to a newer macOS (e.g. 10.13 High Sierra). Other times when you just finished transferring a large number of files from an external drive to your Mac. In this case, Spotlight often needs to index all new files for you to search. However, the process usually takes quite a while to complete. During the Spotlight indexing process, your Mac is likely to run slowly, heat up, and the Finder app will lag as well. How to know if Spotlight is indexing files on a Mac? Just click the search icon on top right corner, type any file name and see if there is a "indexing..." status message showing up. If you don't want to wait, you can either turn off Spotlight, or exclude some items from indexing. Learn how to do that with the step-by-step instructions TekRevue introduced. In some cases, the preferences files associated with the Finder app could corrupt or break — causing Mac Finder to misbehave. To fix that, the best way is to delete Finder Preferences. 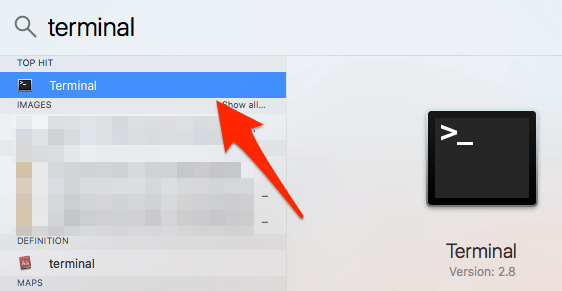 Step 1: Search "~/Library/Preferences/" in Spotlight bar, and click the "TOP HIT" result to open the Preferences folder. Step 2: In the new window, locate this file "com.apple.finder.plist", right click and select "Move to Trash." Step 3: Now close the folder and restart your Mac. Note: It's harmless to delete a .plist file because after reboot, your Mac will regenerate the Finder preference file itself. This scenario is best for when the Finder app on your Mac is not responding, or becomes totally inaccessible. You'll have to operate via Terminal command to delete the preference file in order to fix it. 1. Open the Terminal app. You can either do a quick Spotlight search, or find the app under Applications > Utilities and open it. 2. Delete the primary Finder preferences file. At the Terminal prompt, type the following command exactly as written and press Return key on your Mac. 3. Now restart your Mac for the change to take effect. In general, we don't recommend you do so on your own if you are not comfortable using command line. It's best to have a geek friend assist you during the process because any mis-operation could cause unexpected issues. The Finder not responding issue can be very annoying as we are used to relying on the app to access files and folders. But the issue does happen now and then, particularly when you just upgraded your Mac to a newer macOS version (e.g. latest High Sierra). By the way, if you are new to Mac, learning about the Finder will help you better organize and manage your Mac files. Check out﻿ this Apple support article for more information. We hope you find the above troubleshooting guide helpful and hopefully you have fixed the problem. If you have any questions regarding the issue, leave a comment and let us know. My finder keeps timing out and being unresponsive for my MacBook pro. it was just upgraded to using the Sierra. It is very frustrating. I cannot move a folder without it crashing. Please help! how to make it as fast as on snow leopard?